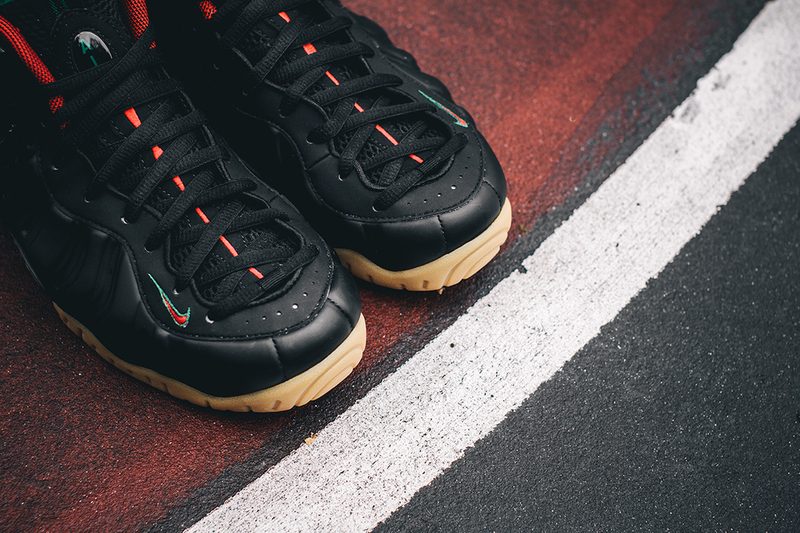 The latest Nike Air Foamposite Pro takes nods from the famous two-color design from Gucci. Nike is notorious for creating some of the most unique Foamposite colorways. This new colorway will release before its white counterpart, and looks to be more popular among sneakerheads. If this is the first time you're checking out the Nike Air Foamposite Pro “Gucci," you may want to take a good look at the photos above. The sneaker releases this weekend, and most sneakerheads are already planning on how they're going to cop a pair. Dressed in a black shell, red and green on the upper really make this design interesting. A Gum outsole completes the look keeping things relatively matching. 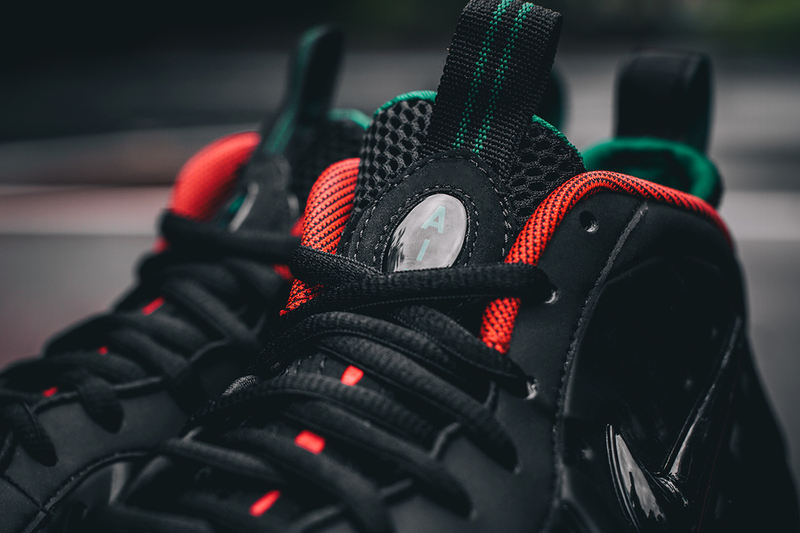 The Nike Air Foamposite Pro “Gucci” will hit retailers September 4th. Let us know if you plan on copping a pair below!